William McDonald of Heritage Hall joining Taylor Moore and Mason Overstreet as recent Oklahoma high school stars to sign with the University of Arkansas was the headliner, but at least 19 of his competitors on the Oklahoma Junior Golf Tour have also signed to play collegiate golf and more are expected in the coming days. 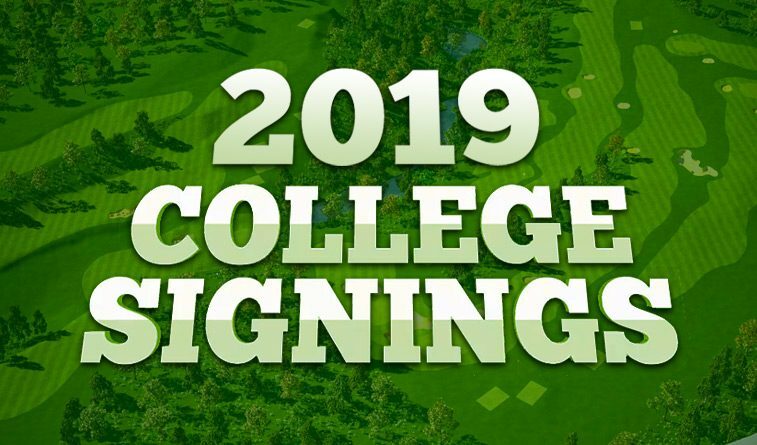 Morri Rose, OJGT director, said he expects as many as 24 OJGT regulars to sign to play college golf in 2019. Below are two lists, the first containing OJGT competitors who have signed and the second a list of signings reported thus far by Oklahoma colleges and universities. Both lists will be updated as signings are reported. Alex Christeson, Granada High School, Livermore, Calif.